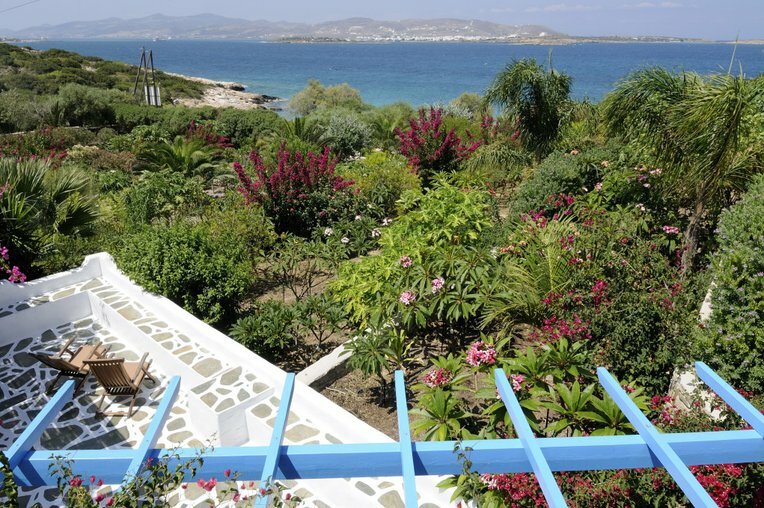 facing out to nearby Antiparos. 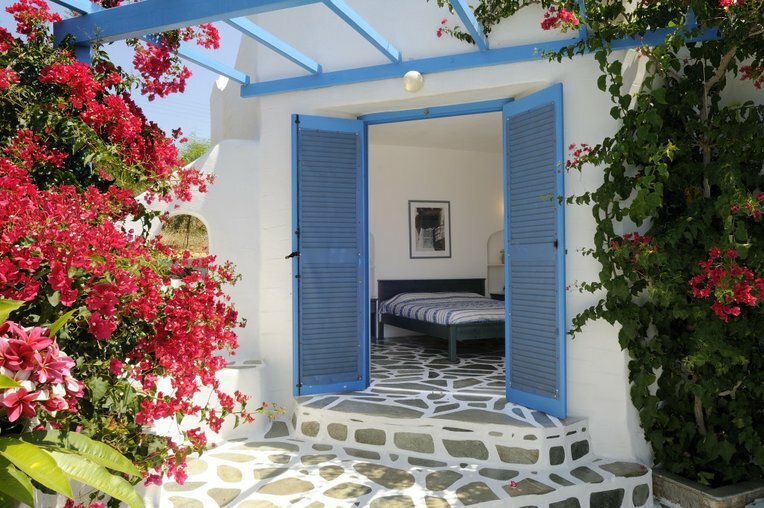 ...just steps from secluded beach. 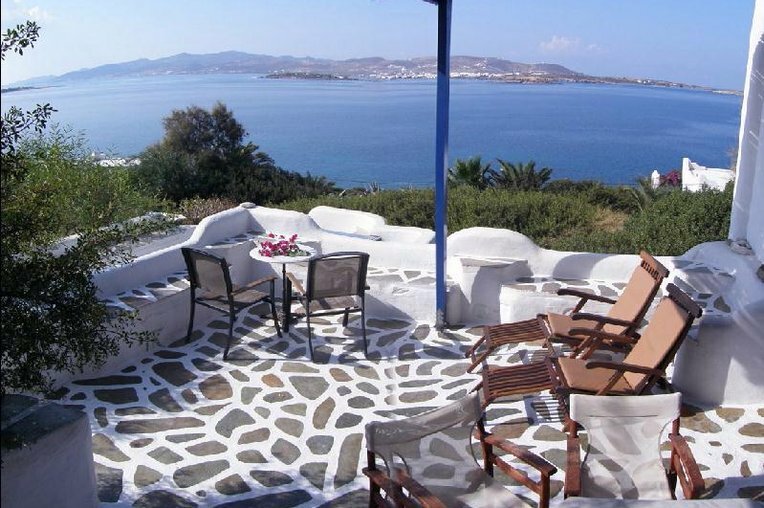 ...perfect for savoring the panoramic sea and sunset views. 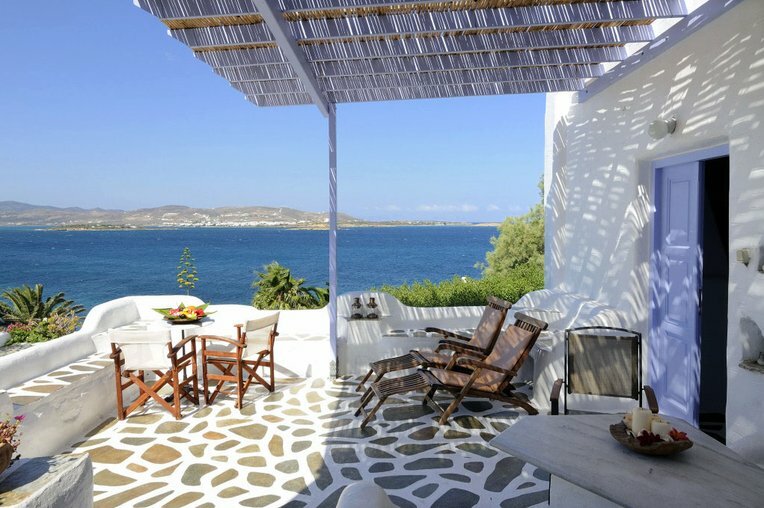 ...with easy access to private balconies with sweeping seaviews. 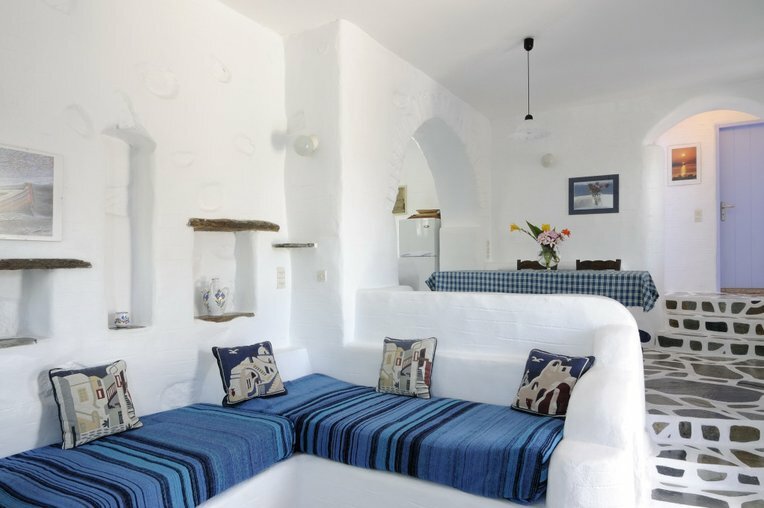 ...all adorned with artworks and furnishings by local artisans. 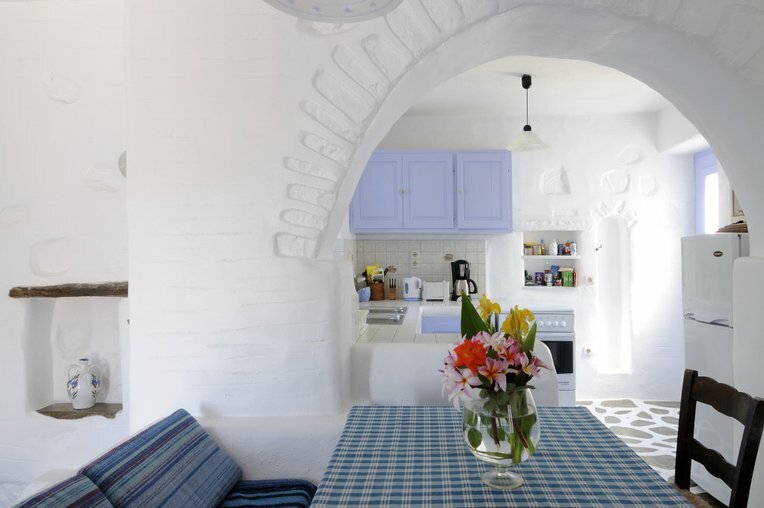 ...with clean and comfortable dining areas and fully-equipped kitchens. 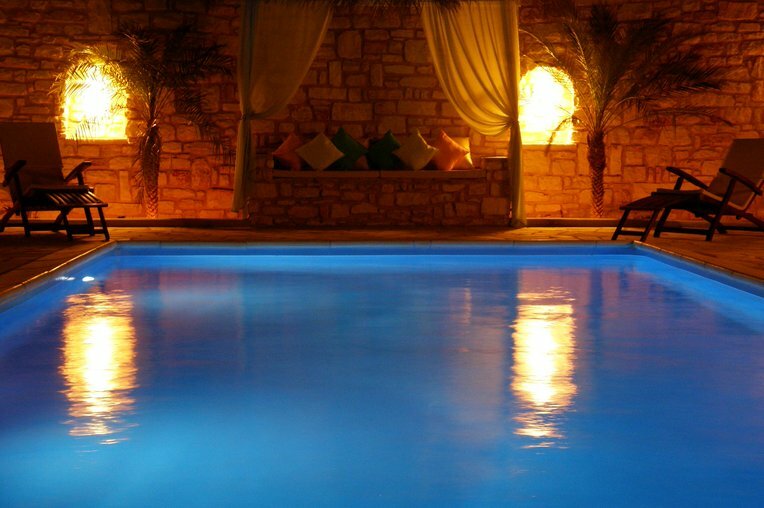 ...with shaded and sunny outdoor areas and secluded, private swimming pool. 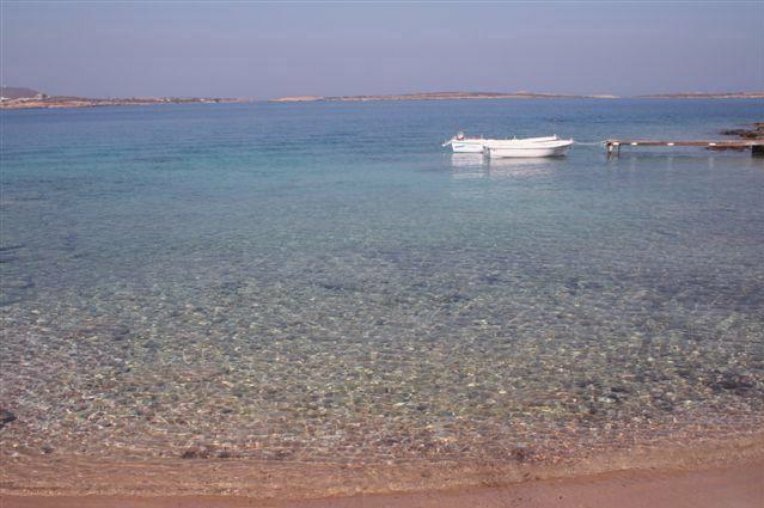 ...for the best of swimming, sea and sun. ...and surrounded by lush, well-tended gardens, including flora from around the world. 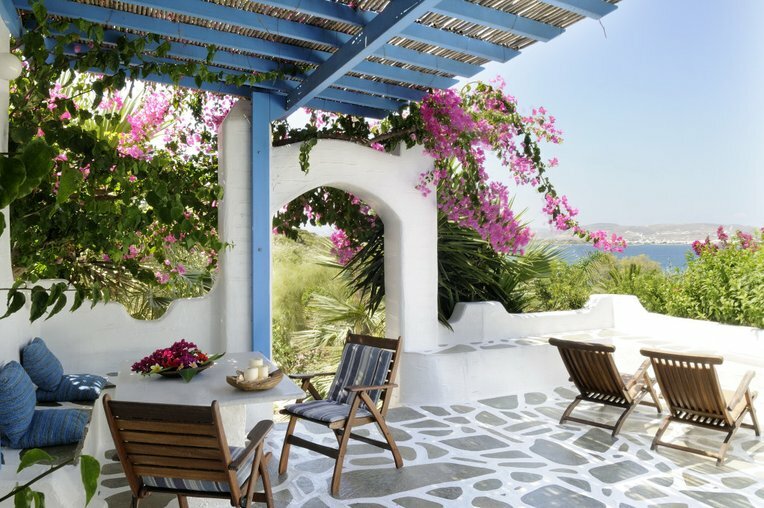 ...adorned with colorful bougainvillea, perfect to enjoy sunbathing or a drink in the shade while gazing at the sea. 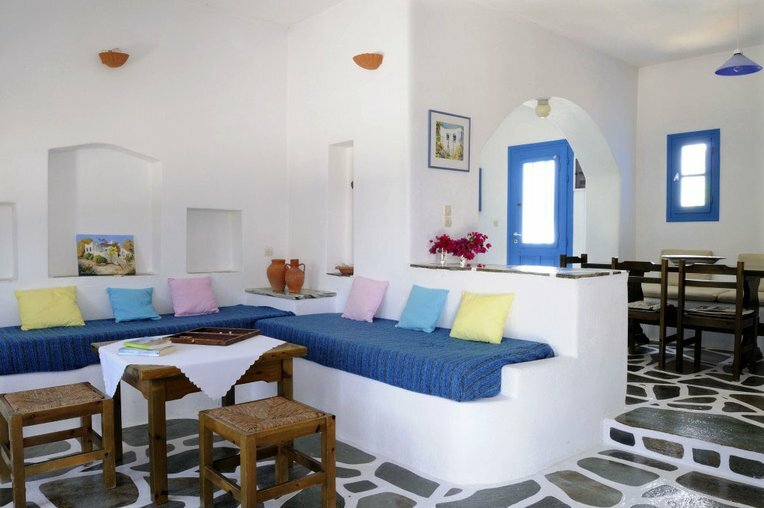 ...in the calming colors of the Cyclades. 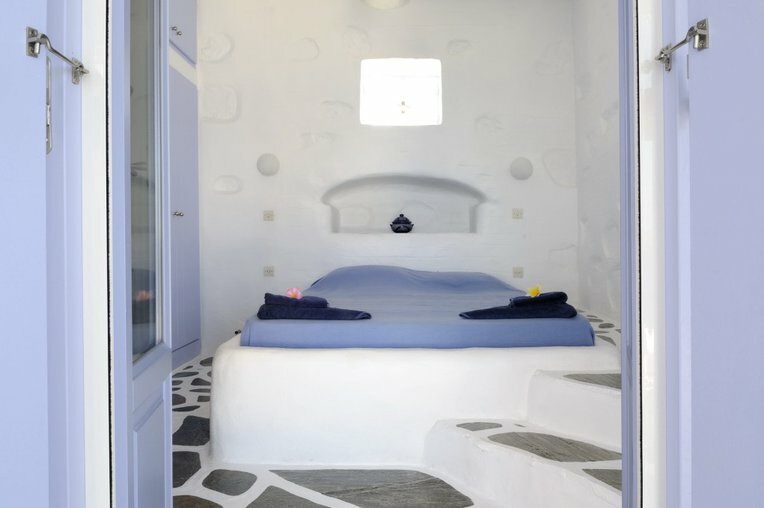 ...in classic Greek island style.